Passing the stewardship of Rocky Mountain National Park on to our children is a task as big as our signature mountains. We need your support to build and maintain a connection between our children, nature and our beautiful park. And an endowment fund that will eventually support these programs in perpetuity. 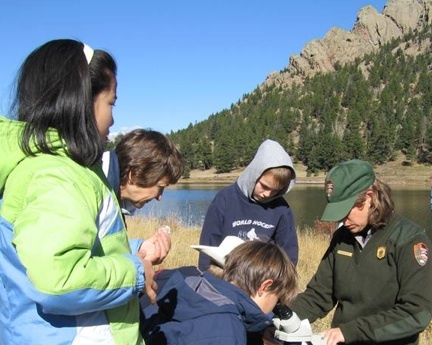 Through the Next Generation Fund, the Rocky Mountain Conservancy is setting out to capture the hearts, minds and funding necessary to secure the future of the educational programs at Rocky Mountain National Park. 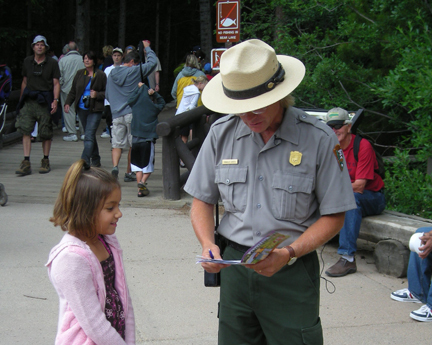 Since 1993, this program has encouraged children and their families to explore and experience the National Parks with age-appropriate activities. 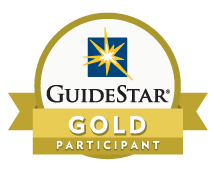 Heart of the Rockies, a successful, curriculum-based educational program, serves more than 8,000 students annually through class outings and offsite outreach visits. The Next Generation Fund (currently at $5.5 million) will provide crucial, permanent funding for education services and will assure opportunities and a valuable and lasting gift to our children. The fund is designed to provide services and programs that go beyond the capabilities of federal tax-supported funding.